The only reason I procrastinated a visit to the relatively newly opened Tartine was because I wasn’t sure when I’d be up for such a carb-intense meal… since I Google-d that tartines are these French-style open-faced sandwiches (photos below). It did indeed turn out to be as carb-y as expected, but once we tried their truffle sandwiches, no one cared anymore. Plus, they do have much more delicious items on offer in addition to the tartines – which I think are equally a highlight. 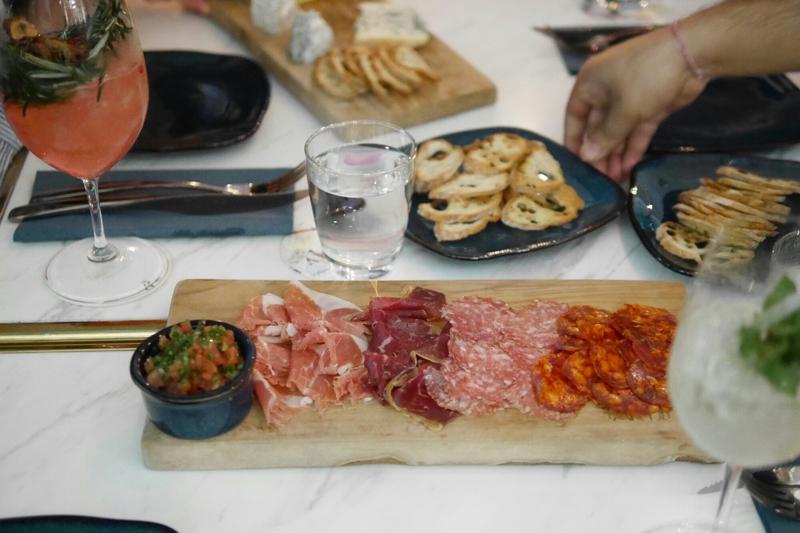 We started with a cold cuts (HK$168) and a cheese platter (HK$168) – the quality of both were excellent. Then I found out this place is actually opened by the same guys behind ON Dining… no wonder. 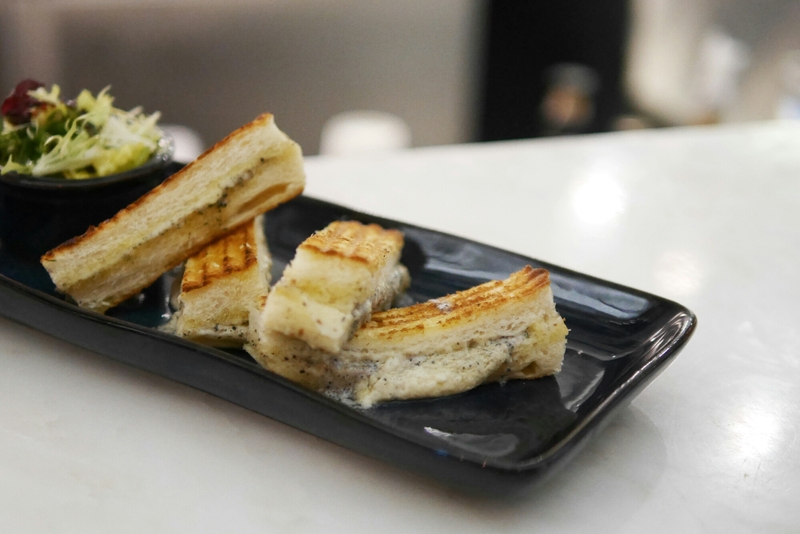 The truffle sandwiches is a dish you’re guaranteed to want encores of. Creamy truffle filling was wrapped with a super buttery and toasted yet soft brioche – the truffle taste was not super intense, but it was still a crowd pleaser. 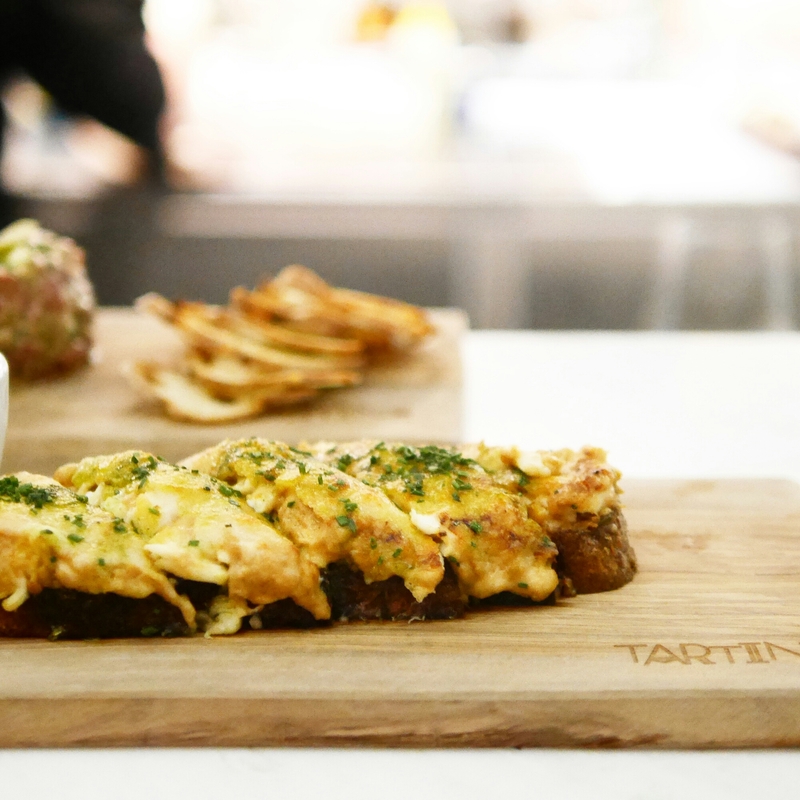 We sampled three different tartines and the Lobster & Homemade Bechamel Tartine with Lobster Bisque (HK$148) *must order* was hands down the winner for me – the irresistible toasted cheesiness might have won me over, but the lobster meat was quite generous too. On the other hand, the Salmon & Avocado Tartine was, as you could imagine, just too typical to impress – definitely skip it. Some of us preferred the Goats Cheese & Roasted Figs Tartine even more than the lobster one. It’s a good choice if you’re up for something less heavy and oily. It’s refreshing and this combination is unexpectedly perfect. Given that the name of this restaurant is Tartine itself, I would’ve thought we’d gone through the highlight-worthy items already. But their non-Tartine items definitely deserve just as much credit. Nowadays, you can actually get pretty good beef tartare (HK$178) at a number of places (that wasn’t always the case) – I recently had one at FRITES and Sepa which were both quite unforgettable. This one would be on the Top 5 for me. 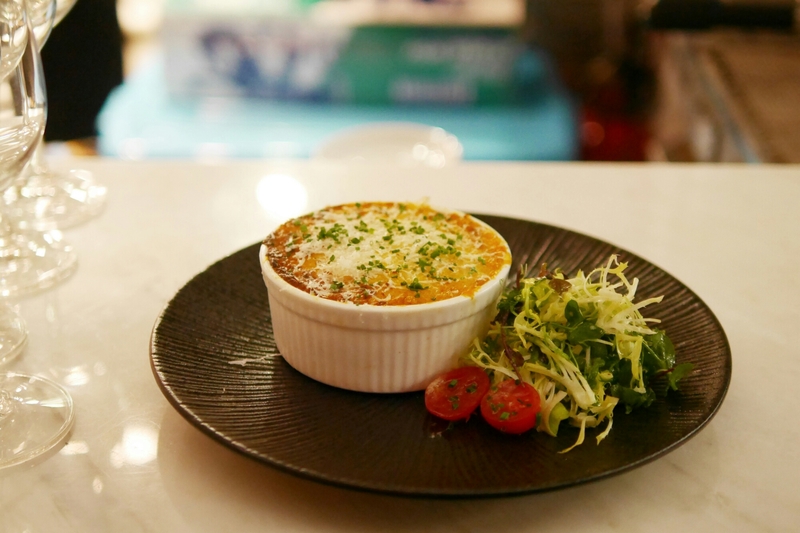 I had no idea what Hachi Parmentier (HK$118) *must order* would be… It’s slow cooked beef ragu topped with mash potato – so cottage pie with beef? And I regret not taking 1,000 more photos of it, because it was among my favourite non-Tartine main dish here! I don’t know if it’s something very unique, but it was a flavourful pot of comfort food. The dessert section here was probably the biggest let down because there wasn’t a lot of choice (three in total). 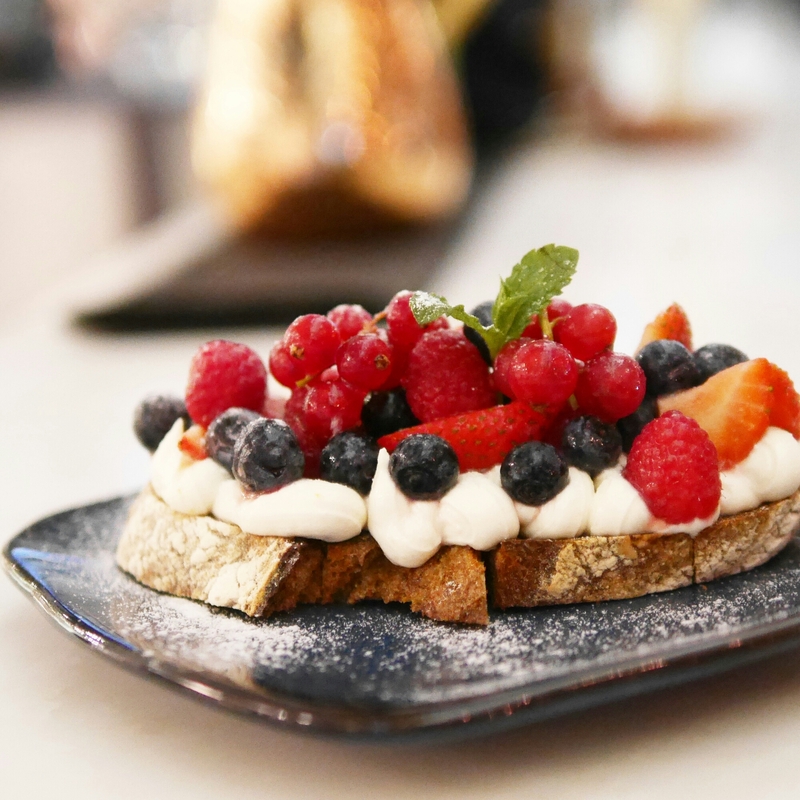 But thankfully the Berries & Mascarpone Tartine (HK$88) was good enough to make up for that. The cream was soooooo perfectly perfect – I loved it! You can also choose to get it without the bread. I mean we had like way enough of bread at this point, but I’m just not sure if cream + berries would be as epic a combination without a base. Overall, it was one of the more positive dining experiences I’ve had lately. I enjoyed basically every single dish I ordered, even if not every one of them had a unique selling proposition on its own. But maybe it’s a good thing to move away from gimmicks and focus on real good quality food, which is what they do very well here.